Beautification is not limited to home interiors; it is applicable on exteriors as well. In urban community privacy is an important factor; a well develops exterior that serves the purpose, such as fences or landscaping designs allow homeowners to enjoy privacy. Many people think of it as an unfriendly attitude towards your neighbor; the fact need not necessarily indicate such a thing of course, as long as urban civilization restricts it to just isolation from probing eyes. 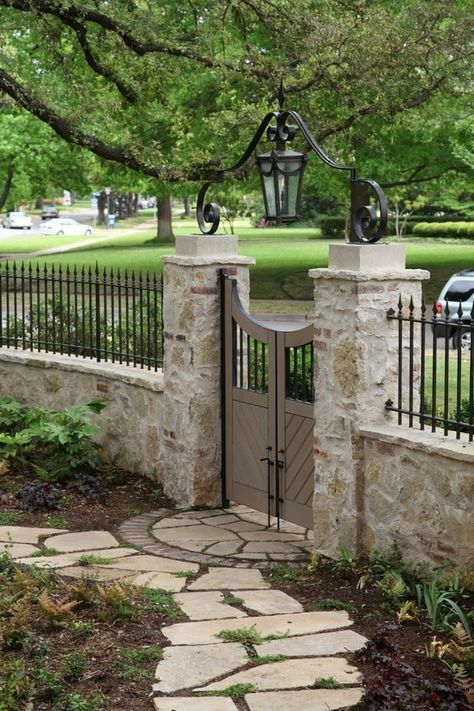 People love to beautify their homes and they look forward to adding or remove fences. In order to keep updated, they also check latest trends and development in the exterior home decor market. The most common areas of concerns for installing a fence are – your personal choice and taste, the kind of material you desire for your fences, suitability to your property and finally, your budget. Considering all these factors, you will get residential wooden fence designs of your choice. If you have any particular fence ideas and/or styles in mind you can discuss it with the fencing contractor. They will cater to your needs by customizing their designs. The latest trends and developments have given a lot of choices to the buyers. – Vertical board – These are long fences which successfully create a good impression on the onlookers. If safety is your concern this would be an ideal choice as it will help in keeping intruders and trespassers away. · Spaced board – These kinds of fences are used for clear visibility. The height of the fences is small which allows you to see in and out from the premises. It creates an attractive look for the property. · Paddock – This kind of fence design is generally not used for residential purpose. These are used for animals and cattle. · Board on Board – For privacy purpose, this is the most suitable fence design used in most of the homes. Apart from providing privacy, it provides excellent security to residents. · Shadowbox – a Unique feature about this kind of fence style is that they look same from both the sides. Although people use it for privacy purpose, it does not provide total privacy. Available in a variety of designs, it makes it easier for people to select their own pattern. · Split Rail – If you are looking for cost-effective fence designs, you should make this fence style as your first choice. This particular style provides excellent protection to you and your family. Here you got a list of wood fence designs. Depending on your taste and needs, you can select your own design. The right fences will help to enhance the look of your property along with raising your standard of living and protection.